Anyone who has ever been in an aeroplane accident knows that it is perhaps one of the most horrible experiences any human being can go through in their life time. While statistically, airplane travel is thought to be the safest in the world with just 0.07 deaths per 1 billion traveled passenger miles, it is safe to say that the intensity of an airplane crash, and perhaps the scars, both physical and emotional, far surpasses that of other forms of travel. This is because an individual is much more likely to survive other forms of accidents, such as car, rail, or sea transportation. The same cannot be said about plane crashes. It is for this exact reason that anyone who is fortunate to survive an airplane accident needs the best possible aviation accident lawyers in New York. 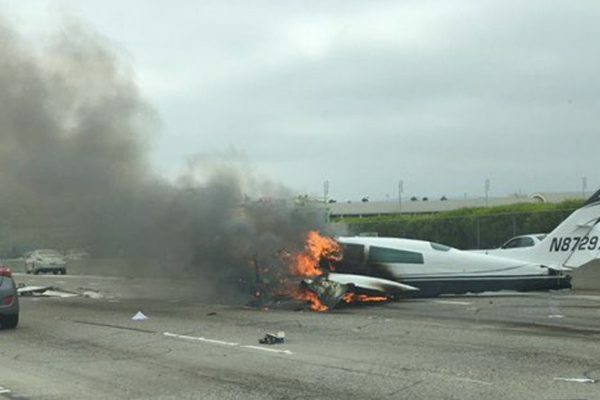 Here at the law firm of Auto Accident Attorney NY know we what it takes to properly represent any individual who has both had the unfortunate experience of being involved in an aviation accident, as well as the fortune of surviving it. The number one feature that we will bring to the table is empathy for the victim or victims of an aeroplane accident, who have signed us up to represent them in any claim or lawsuit they might want to bring against the defendants. Just as it is with any type of automobile accident, there are or can be a number of different factors that can be the causating factors that cause a plane to crash. One we establish an attorney-client relationship, the number one thing we will do is to employ both in-house and external experts to help try and determine the exact cause of the accident, while of course other relevant stakeholders like the National Transportation Safety Board and the insurance companies conduct their own investigations. Once this investigation has been concluded, and if it is determined that the cause of the accident can be attributed to a specific stakeholder, such as a manufacturer’s defective product, or human error, then a determination will be made as to if and how to proceed with taking action against these parties.